Jeep, for seventy-five years, has created the best vehicle on the market, the Wrangler. In the 2018 model year, Jeep has created the Wrangler Unlimited JK, the successor to previous generations, and the holder of the legend and lore that makes up a Jeep. What makes this Jeep stand out is the four-door configuration, giving you more room for not just passengers, but cargo. Furthermore, the 2018 model year is bringing the Wrangler Unlimited JK three new special editions, each of which offers you a unique styling that helps you differentiate yourself from the crowd! The Wrangler Unlimited is the Jeep for all occasions--from off-roading adventures to your journey to work every morning. 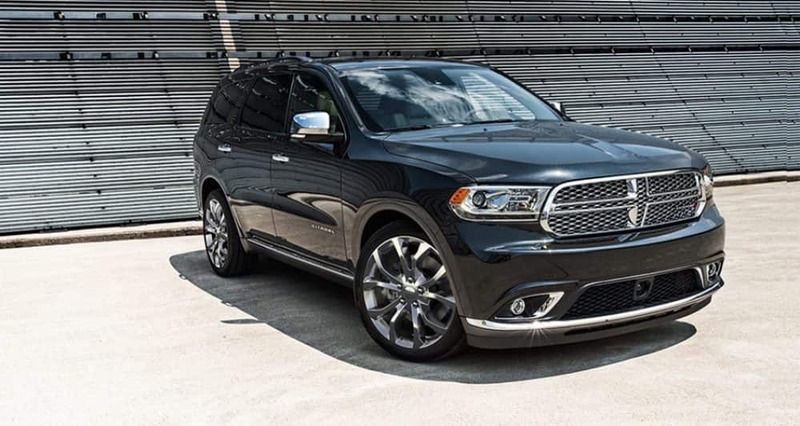 No other SUV on the market can compare with not just the features, but the iconic styling that has withstood the test of time. There are four different models you can choose from with the 2018 Wrangler Unlimited JK! Standard features in the Sport model include cloth seats, adjustable head restraints, low-back bucket seats, a rear 60/40-split folding seat, rear-seat adjustable head restraints, reclining front seats, a 12-volt auxiliary power outlet, air conditioning, cargo tie-down loops, driver seat height adjuster, full-length floor console, rearview day/night mirror, storage tray, variable intermittent windshield wipers, an eight-speaker audio system, an audio jack for mobile devices, and steering wheel mounted audio controls. The other three models--including the Sport S, Sahara, and Rubicon--give you even more features that should help further enhance your driving experience. The three special editions that were introduced this model year include the Altitude, Freedom, and Golden Eagle. The altitude features Diesel Gray accent stitching with black leather seats, a power bulge hood, 18-inch wheels wrapped in Bridgestone Dueler tires, a hardtop with a standard body color, black tail lamp guards and fuel fill door, and Liquid Titanium finish vent rings. The Freedom edition gives you body-color fender flares, a leather-wrapped steering wheel with silver accent stitching, a black premium soft top, and Oscar Mike fender badges, along with decals on the fenders, hood, and rear quarter panel. The Golden Eagle edition gives you a Golden Eagle logo on the front seats, a premium tan soft top, McKinley vinyl wrapped front door armrests with Light Bronze accent stitching, Titanium-painted door handles, and tan half doors. What are the safety features offered with the Unlimited JK? The Unlimited JK gives you safety features like hill-start assist, electronic stability control, a sport bar with full padding, traction control, advanced multistage front airbags, and electronic roll mitigation. More optional features include an electronic vehicle tracking system, supplemental front seat-mounted side airbags, and remote keyless entry. These safety features just go to show just how important safety is to Jeep, especially when considering that these are just a few of the twenty-four different features offered with the Wrangler Unlimited JK. Every Jeep model is given the latest in safety technology. What is the engine under the hood of the Unlimited JK? This Jeep is powered by a Pentastar 3.6-liter V6 engine that can deliver up to 260 pound-feet of torque and 285 horsepower. The Pentastar engine has a focus on low-end torque to help provide the best off-roading experience. Further features, like three axle gear ratios, and a best-in-class approach angle of 42.2 degrees, shows the dedication that Jeep has to the off-roading capabilities. They may already be the best, but that doesn't mean that they'll sit back and let anyone else be better at off-roading than their vehicles. The Wrangler Unlimited JK is the best SUV of its kind on the market. The four-door configuration gives you the ability to bring your friends and family with you on your adventures, or even use it as a family vehicle. There are no limits with this Jeep Wrangler. Schedule a test drive with us today to get a feel for why we love this Wrangler!